This year marks an important milestone on the Lotus calendar, the Elise has now been in production for twenty years and to mark this occasion the British sports car creator has released a 20th Anniversary Special Edition to celebrate the initial unveiling of the iconic sports car at the Frankfurt Motor Show in September 1995. When the Lotus Elise was first released to the sports car world, it set a new benchmark for handling, purity of the driving experience, lightweight and efficiency. 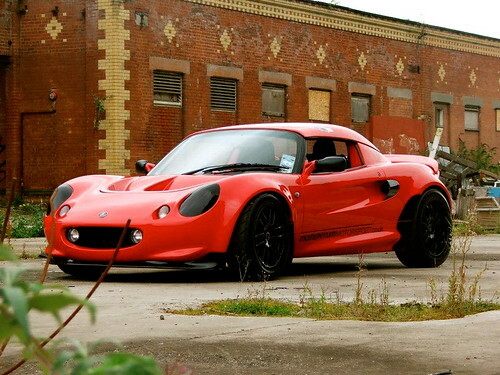 The Elise 20th Anniversary is powered by a 1.8-litre supercharged engine. It reaches 0-62 mph in just 4.6 seconds and has a top speed of 145 mph. Weighing in at an impressive 914 kg, the Elise 20th Anniversary is 10 kg less than the Elise S. Additional equipment compared to the Elise S comes as standard and is designed to reduce weight, including lightweight matt black forged wheels, lightweight centre console in body colour and lightweight sports seats in leather or Alcantara with colour coded stitching. A sport mode is also included which increases throttle response and alters the traction slip thresholds allowing the driver enhanced control before intervention. All this additional equipment amounts to £5,150 worth of extra value, for only £2,700 more than the standard Elise S (£37,200). 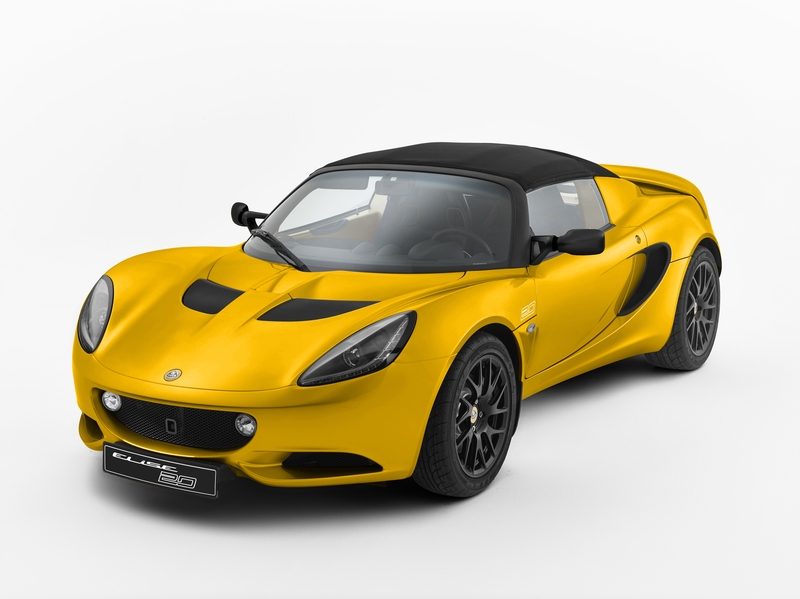 The Lotus Elise 20th Anniversary is on sale now at a cost of £39,900 and will replace the Elise S Club Racer. 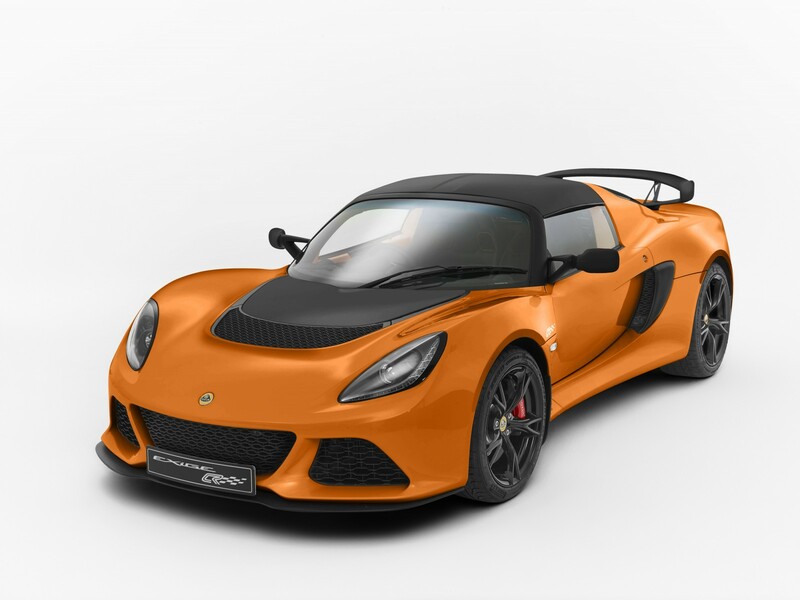 In other Lotus news the firm has also announced a new Exige S Club Racer. The Exige S is powered by a 3.5-litre supercharged V6 engine, delivering performance, handling and a respectable acceleration time and top speed – taking just 4.0 seconds to sprint to 0-62mph and a top speed of 170 mph. The new Exige S Club Racer occupies an important niche within the Exige range and arrives hot on the heels of the Elise 220 Cup and the forthcoming Evora 400, unveiled recently at the Geneva Motor Show. Available only as a coupe model, the car possesses 42 kg of aerodynamic downforce at 100 mph, thanks to the front splitter, rear wing and flat underside, all contributing to its improved performance and handling balance. At 1161 kg, it is 15 kg lighter than the Exige S, because of its new lightweight battery, centre console, doors and sports seats, which come in leather or Alcantara with colour coded stitching. The Exige S Club Racer is available in Metallic White, Exige Orange, Metallic Yellow and Matt Black (option). The front splitter, rear wing, front access panel, roof panel, wing mirrors and rear transom are in matt black. Club Racer decals inside on the dashboard and seats and outside above the side indicator help identify this latest special addition to the Exige range. The Lotus Exige S Club Racer is on sale at a cost of £56,900. These are fantastic track 'toys'. I was blown away by the Exige on a track day at Mondello and would love one in the drive. Who supplied the 1.8 supercharged unit? Is it a blown Celica 1.8 vvti? Yeah they are quite the toy for the road and track and really hard to beat in terms of handling. The 1.8SC is an uprated 2zz from Toyota, Toyo did its own SC version in the Corolla Compressor, I really wish they made that an option in the mr2 and carried on developing the car. The Lotus design is much nicer that that of the mk3 mr2 though and really does catch your eye when you see when on the road. I wouldn't put MR2 and Lotus in the same sentence really; the MR2 pales in comparison! Yeah I agree, the mr2 is in the more cheap affordable fun bracket, I just find it annoying that Toyota have all the tools at their disposal but didn't fully implement them when it came to the last variant of the mr2. Lotus are definitely in a different league but then again you would come to expect that considering the price difference of both models from new.